Whether its due to the upcoming holidays, or developers have found some new inspiration, November was an awesome month of new updates and work coming from the Developer Community. If we think back to October, you’ll remember that it was also a busy month for the community, and November was no different. If you missed October’s recap, be sure to take read the Community happenings here: October Recap: Here's Whats Happening in the Developer Community. This game is much more than a series of challenges; the underwater world that the developer team created is absolutely stunning and amazingly details. 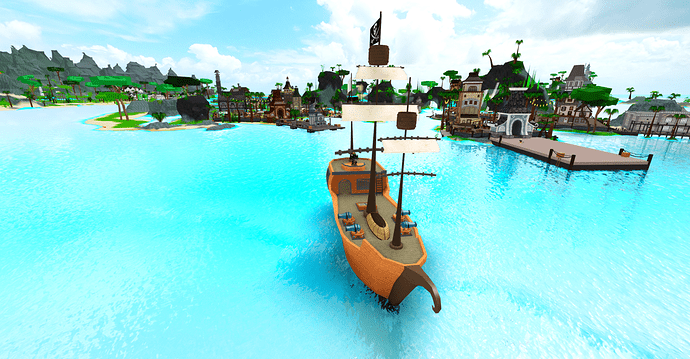 Be sure to drop to @beeism, @buildthomas, @deepbluenospace, @director1406, @erythia, @evaera, @GGGGG14, @gunsbullets, @masteroftheelements, @noalias, @oniich_n, @potofpaint, @RBXKyle and @vocksel a note or congratulate them in the comments. We’re nearing the end of our module on Player Retention, but we have a few more articles in the works to wrap up the series! Check out the below articles to find out how you can attract players to your game and keep them there! We will be announcing the new topic for the next module soon. Stay tuned and check this thread for updates: Opportunity for Developer-Written Content Promotion! Calling all European Roblox developers! Humanoid Movement Update - Steep Slope Bugs + Some minor tweaks! Really enjoy that we’re doing Monthly Recaps. Please continue this for forever. This one came in a little late, I’ve noticed, but I am nonetheless happy that this initiative has been continuing since its inception back in September or so. Thank you for keeping us informed as always. Now, time for my usual rant about the wonders of this month, as I do per recap. I honestly have to say that outside of the updates we’ve been receiving, this month has been a pretty quiet month in my opinion. November seems not to have caught onto that October boom. Unfortunate, but forgivable and understandable. It does not matter; things are looking great as always. It sesems this month has been stocked on several From the Devs articles on the medium page. I’ll be taking a look sometime soon - looks like good food for thought when developing a game. I believe the cake of November lies in the updates. Check 'em out. New error windows: Rather than a bland-looking yellow bar, there is now a tab that appears on your screen with options to rejoin or leave depending on the error code that caused a server to close. More than this though, I wonder when we’ll get access to that GUI mask. Conversion Revenue Mess: I think we can all agree that this was a giant flop for November and it was unfortunate that it occurred just before Black Friday. On the flip side though, can we all say that Roblox is taking a step forward towards respecting its developers and the community? To rectify a dual issue in a row (both the exponential gain of currency and poor first resolution), they returned the Robux back to developers and took a huge hit as well as owned up responsibility for the issue. I think that their final resolution deserves the highest respect, so a well-rounded applause to them for this. Removal of Closed Source Modules: Okay, this has been probably the biggest talk of the month. I remember seeing a couple Discords exploding over this update. Long story short: read the thread. I don’t want to get into a debate here. And so that concludes my opinion-based analysis of the monthly recap. Here’s to a good December, fellow developers. I got mentioned in a public announcement. Thanks for the opportunity to write an article, I hope I can be in more of these recaps. Congrats to everyone else as well.